Orange, Calif. – August 21, 2013 – For Kristyn von Rotz, offering families support after the loss of a child is an immense objective in her life. 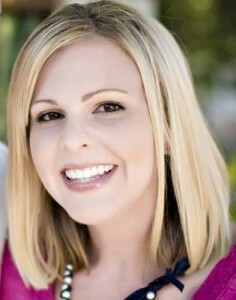 The Orange-based freelance writer and full-time mother of three (four including her ‘angel’ Joseph whom she lost at birth in 2004) dedicates herself passionately to OC Walk to Remember, a nonprofit organization she co-founded in 2005 to offer support and help families memorialize children they have lost. Von Rotz, through her vision and compassion, has touched the lives of many families who are grieving the loss of a child. For her tremendous work and devotion to extending support to hospitals, support groups and other organizations that help families with losses during a pregnancy or infancy, von Rotz is being honored as the August recipient of Fairhaven’s Oliver Halsell Care Award. Fairhaven, an Orange County mortuary and memorial park with locations in Santa Ana and Mission Viejo, created the recognition program in 2012 to pay tribute to individuals who have demonstrated exceptional care in their profession, community and the world at large. Von Rotz also shows an immense appreciation for the remarkable help from family and volunteers. Whether their support comes through donations or through hours devoted, she feels that they helped in making OC Walk to Remember possible. Von Rotz will be honored at Fairhaven’s Oliver Halsell Care Awards banquet in the fall at Fairhaven’s Mission Viejo location. The banquet honors a year’s worth of achievements among the local community. Additionally, Fairhaven will make a donation to OC Walk to Remember in her honor.